It is said that the spirit of the Cannabis plant clouds consciousness or disconnects us from source. With this in mind, how convenient would it be, for those in control, to keep the majority of people in a state of disconnection from their true selves. Could this be why the drug has been legalized through prescription in Canada? Are the products they control GMO or modified to have specific effects on the psyche? Speaking from personal observation, over the past twenty years I have seen the effects of cannabis on people who have quit for several months and then went back again, as well as the effects on those who have been using the drug from an early age. Under the influence of Marijuana, we lose contact with our soul and our true purpose. There is a web or matrix as some would say, that holds humanity in a specific plane or field and this drug creates a delusional state that leads users to believe they are more creative or spiritually advanced. Many users begin mistakenly believing that the substance does no harm at all or otherwise convince themselves that it is better than drinking alcohol. But this is an illusion. 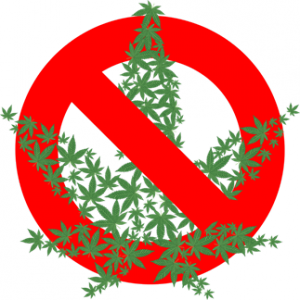 Cannabis does not carry a frequency high enough to hold the sacred space needed for a clear connection with Source and addictions must be faced in order to be cleared. Important skills are acquired in the developmental years of life and cannabis obstructs the development of healthy life patterns. When the drug is introduced around the age of 13, communication and problem solving skills are drastically diminished. People who are living under these conditions, often find the best way out of conflict is to avoid situations or people that are challenging; they prefer to not be taken outside their box or comfort zone. Life under the influence of cannabis is very limited because of the user’s delusions but if properly addressed, as addictions dissolve, the feeling of purpose will return, along with an increasing zest for life. As divine gifts and creativity become more apparent, the harmful effects of drug use become clearer. Convince yourself that you don’t need it and watch true life unfold. Learn the skills needed to deal with all situations in neutrality. It is so worth the effort. A bit about myself before I go on, so that you may have a feeling for the validity of my words and experiences. Spiritual work has been a way of life for me over the last 15 years and in conjunction with this I bring much awareness from many sources. Along this journey, as I evolve, life becomes increasingly simple and my needs are few. Consider how many people you know that would be able to live in solitude, in complete celibacy by choice and feel content without music or people surrounding them. Without addictions to pull me away from source and soul, one can say there is a sure feeling of fulfillment and tranquility. In 2006, the glands in my brain transformed to allow in more Light and since then, long periods of time are achieved without thought. This progressive transformation allows for more energy to pour through when working with others in ceremony or massage treatment. Many Buddhist monks I know or have worked with, dedicate their lives to finding stillness without thought and sustaining this state for suspended periods of time. 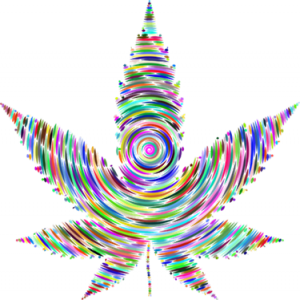 The purpose of this blog is to have an understanding of the effects of cannabis in relation to spirituality. Spiritual awareness is also misunderstood by many. Some believe that when we read spiritual books, attend workshops designed to enlighten, if we do and say all the right things, we are spiritual. This doesn’t mean that inside ourselves we are spiritually connected or even for that matter, good people. Little by little we learn how to work with energy in ways that are different to how we experienced it in the past. It’s like a key unlocked the door and energy begins to flow through our body. Our heart feels some pressure as Love flows through. Like how we feel when we love a person but a person is not present. Random messages and synchronistic moments are more frequent. We crave nature, the desire to protect our sacred waters, wild animals and Mother Earth. When we recognize these occurrences and send prayers of gratitude and Love for our existence and role on this plane, Spirit, Mother Earth, guides and helpers are in tune with us. When we ignore them, we might not be on their radar. It is believed that certain people on this planet were selected to live out actual purposes that their soul came here to fulfill. Spiritual Teachers are here to transfer energy, cleanse the body on all levels, living lives without substance or addictions to outside stimulants. They are transparent because to lie by acting a certain way to please others, takes too much time and energy. Others who come for their teachings, become more transparent, living fuller lives, filled with Love and Gratitude. Anyone can act the part on the outside especially those who have mastered pretentiousness. We are more concerned with the inside and how to know the difference. Look at the people that surround them and their personalities. Look at their habits and how they handle difficult times. It is not realistic to seek a teacher who says what you want to hear so not to take you outside your comfort zone or show you what you are hiding from yourself and others. Cannabis is addictive so even if you say you use it for a specific reason or only now and then, it’s still a part of you. Ask yourself why you are looking for outside stimulation. Are you not content or fulfilled inside? Likely you have not embodied Spirit so communication is more mental/delusional than energetic and spiritual.